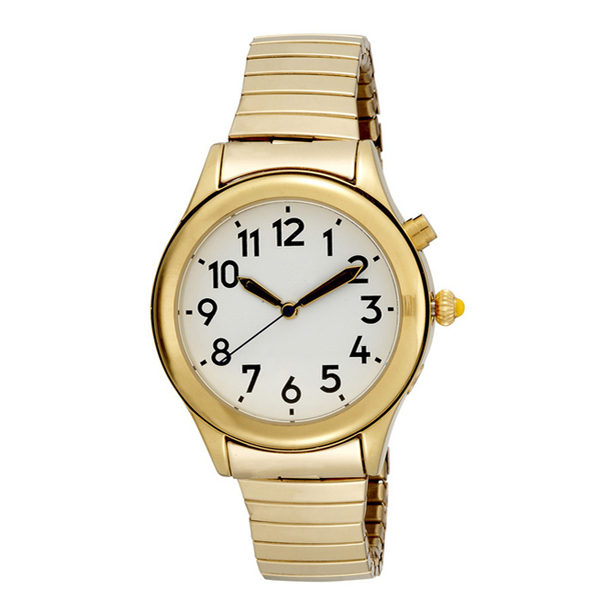 This is a true quality and elegant looking Ladies Gold tone talking watch. While it has only one button, this watch announces the Time, Day and Date, Year, and has an Alarm. Very simple to set and even easier to use.